Picture this! Your client, let’s call him A, calls you up and lets you know that the company loved your ideas and would want to see the first draft coming through in the next 5 working days. You’re elated and so excited; this was one job you really loved. Beep! Your inbox has just received a mail from client B. They need an invoice processed as soon as possible to continue with the procedures and release the payment. Beep! Another mail pops in just then. This time, it’s the lovely client C. She has got back to you with a few suggestions and comments from the board that has checked your work and needs a revision to the drafts by the end of the day on Wednesday. And, when you thought everything was done, your calendar on your mobile goes off, reminding you that you need to put in a follow-up mail to your clients X, Y, and that notorious Z. Phew! Today seems to be just like any other day—chaotic! After all of these are spread on your table, you realize, you are currently working on client U’s project. Woah! You need an assistant! As a freelancer, you don’t have a team to back you up and handle assignments or prioritization for you like it would be in an organization. 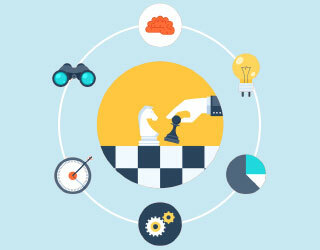 There are many tasks for different clients coming in at different stages of the process you work on. Here, you are on your own and it can be overwhelming at times. Thanks to technology, you now have brilliant options to fall back on to ensure you have everything you need, you can manage your tasks, and you can communicate more efficiently. In this article, we’ll look at 10 brilliant project management software skills for freelancers to work through, in no particular order. How does one freelance and not know about Asana?! Asana to projects and tasks is like salt to sea water. 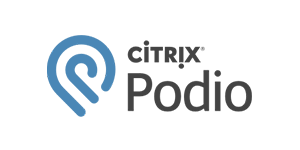 A revolutionary product offering you services that can seriously make your life much easier than it already is with any other project management software skills. 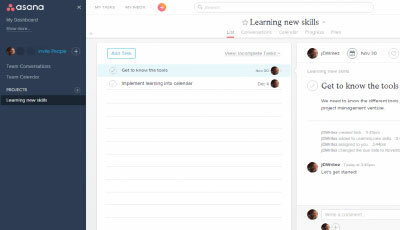 With a clean and simplistic layout to its user interface, Asana will make working on it an experience. Asana is simple; there are no two ways around that. 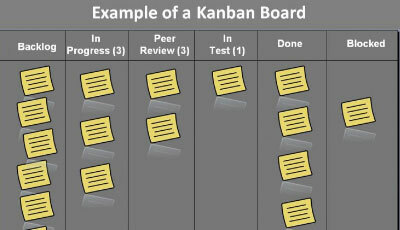 You can have projects under your different workspaces and have your tasks and activities within them. If it’s needed, you can go ahead and break down the tasks into more manageable subtasks, while providing descriptions, comments, file attachments, assignees, and deadlines to them. You can share your projects with other individuals and your clients using Asana and collaborate with them on a real-time basis. Collaboration is another one of its amazing features that can help you with effective and real-time communication with all your clients and projects. This is the project management software skills that I am currently using and I can never tire praising it. A fully equipped app for all you freelancers out there, Wrike makes it look like you’ve entered again into the world of Asana, but a closer look will help you distinguish the two power competitors in the project management software skills paradigm. Wrike enables you to automatically track the time you spend on the tasks that you undertake and mention down as your to-do. 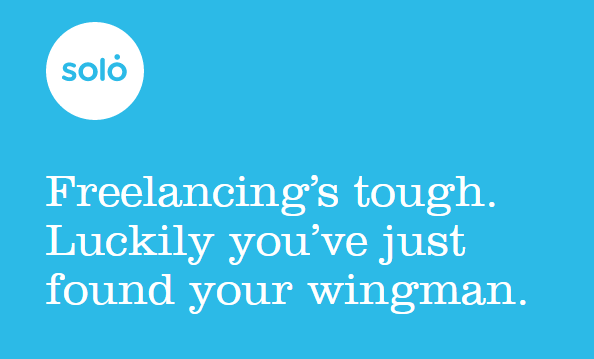 So, for those freelancers that charge by the hour, this is really going to help you immensely to get that clock moving. With a timeline feature, you will be able to jot and share screenshots of your entire project schedule to team members or even clients; won’t matter if they aren’t part of Wrike. With state-of-the-art integrations, now you can collaborate and use different third-party apps and tools to facilitate your business better. This is a project management software skills built especially to tackle the many issues that freelancers experience during their work. While it takes on the most common tasks that freelancers or for that matter, any employee dealing with individual projects go through, Solo also helps analyze a freelancer’s client base and give important information such as returning client details and their magnitude, invoicing details and processing, profits earned while dealing with a client in different sectors or industries, and also, clientele contacts and a quotation tracker. Solo helps you go solo in your endeavors to keep a steady pace in the world of project management software skills and tools. All packed with business analytics tools and a clear user interface for easy handling, Solo will help you usher in a great business and a profitable one for the efforts you put in. At $16 / month and $160 / year, Solo comes as a great choice to deal with everything you need in a project management software skills. If you’re a customization freak and love the complete control over what you do and the project management software skills you use, then Podio is the perfect one for you. 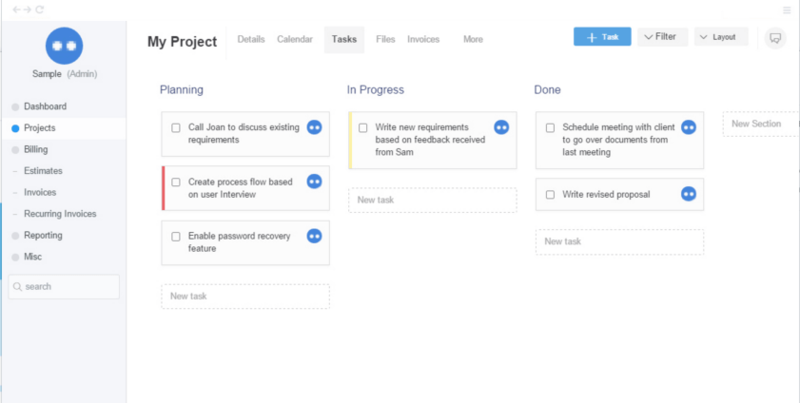 Packed with all essential features such as task management, contact repository, tags, labels, project scheduling, reminder systems, and task lists, Podio can be a great tool for you to tap into. With customization abilities wired down to the T, you can get hold of Podio for any type of customizations to cut down the complexity that other project management software skills would pose to your day-to-day functioning. Podio enables users, especially freelancers, with tasks that need to be replicated within subsequent projects. 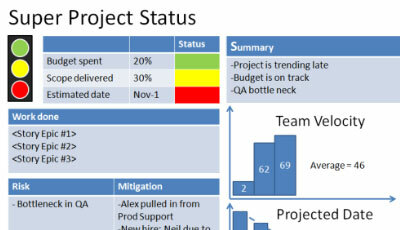 This can be accessed through customized project template, a feature offered by Podio for their customers. Podio has a basic version available for all to use at absolutely no cost at all. And, for 5+ users, Podio comes to you at $9 / month. Tick! Tock! Tick! Tock! And before you know it, you’ve spent hours not being very productive. This happens to the best of us. We allocate time for certain tasks but aren’t able to justify if that time was wisely spent and if there was a grade to our level of productivity. With Klok, the time spend-thrift freelancer in you will be a thing of the past. Keeping time was never this easy with Klok handling your tasks and projects and everything in between. For freelancers, Klok will even be the project management software skills that will help them with invoicing as it has killer integrations with Harvest and Freshbooks for their invoicing needs. Klok comes to you absolutely free with no charge for the basic version, while the Pro version doesn’t lag much behind with its cost—$20 for a lifetime. Like the situation given to you at the start of this article, Basecamp would be your best friend should you encounter something like the chaotic situation mentioned. Basecamp is a steady and extremely intuitive project management software skills, complete with project planning and integration for many collaborative functionalities. With the latest file sharing capabilities and integrations, you will be able to easily perform all the functionalities there are to complete what you’ve kicked off in your freelancing endeavors. 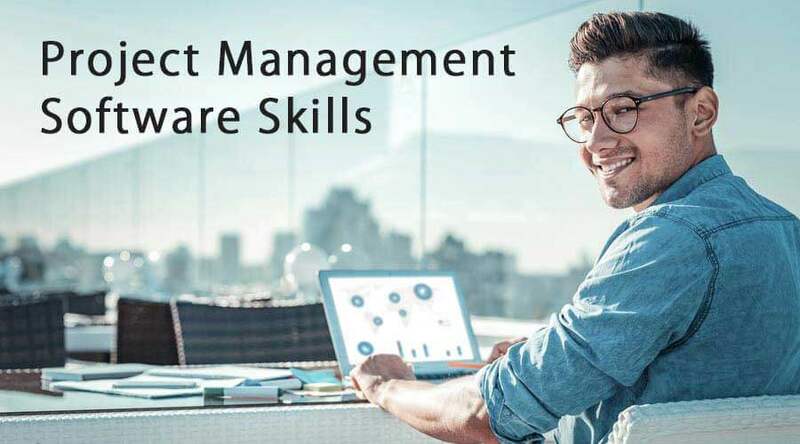 Assignments, comments, task management, project tracking, and many other functionalities all on a single project management software skills is the way to go for you and your ideas and client work. I can only guess that as a freelancer, you will be on a constant lookout for growing your trade and becoming better at what you already do. And, I am quite sure that you will also require a complete business kit for those growing number of clients and customers coming to you. 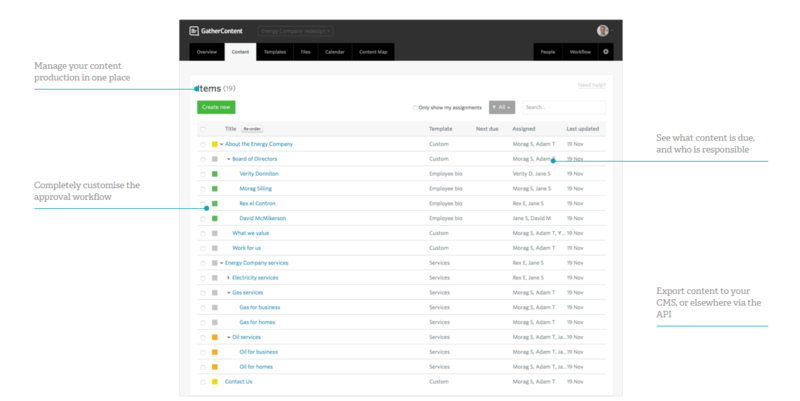 OnlyOffice is one such project management software skills that not only provides you with fitting project management solutions but also kick-starts your CRM and invoicing management all in one system. 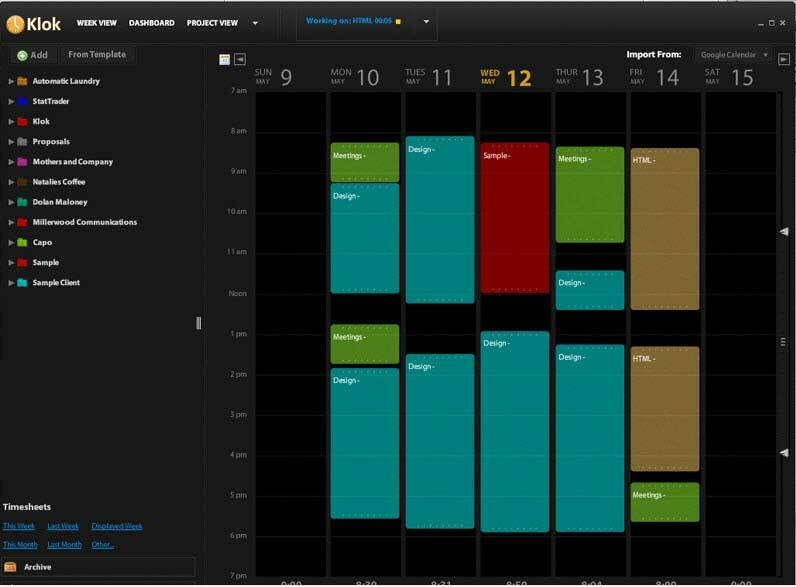 This project management software skills can be of great value if you’re a freelance business consultant and you have to deal with different types of businesses and consumers within your services. Right from sharing and generating documents to collaboration and charting features, OnlyOffice can surely be the great client management software you were always on a lookout for. Version control, task management, invoicing, project tracking, e-mail integrations, reporting, and much more, only here at OnlyOffice. The pricing system is also quite befitting for the services it provides. For 1-4 users and 8GB of storage space, it’s absolutely free. For 5-10 users and 20GB of storage space, it’ll cost you $25 / month. For 10-20 users and 40GB of storage space, it’ll cost you $50 / month. There are many other varied ranges for a higher number of users. All you freelancers involved in shaping the future of content, here’s a content management software that doubles as a project management software skills and collaboration tool for you and your clients. Say goodbye to those documents and files cluttering your desktop and welcome the project management software skills for all your content and business needs. The content management software of the future, GatherContent forms a centralized repository for all your content that needs client distribution and helps in controlling versions as well as organizing the various content you have to deliver. Not lagging far behind, GatherContent has project scheduling as part of their ever encompassing editorial timelines and deadline feature. With a 30-day trial period, you can check and see for yourselves the power that GatherContent exuberates to its users. There are many different plans that you can check out on their website and pick and choose the one that suits you and your needs the best. Freelancers pay attention: Duet is one efficient project management software skills specifically designed for you and your business. Packed with some of the best features in the world of project management software programs for small businesses, Duet is the tool that will save you the bucks while not compromising on any of the features it renders to you. Along with being a project management software programs, Duet also comes with the invoicing functionality and complete solution for all your data and projects. You will be able to handle your clients and tasks with complete ease and comfort. Also, you will be able to customize this tool as per your convenience and your need, and you will also be able to monitor your progress and check for all your projects at the same time. Invoicing, collaboration, and a clear-cut design, you won’t need anything more than this. For Duet, you will be paying a one-time fee of $49 and you will earn free updates for an entire year. 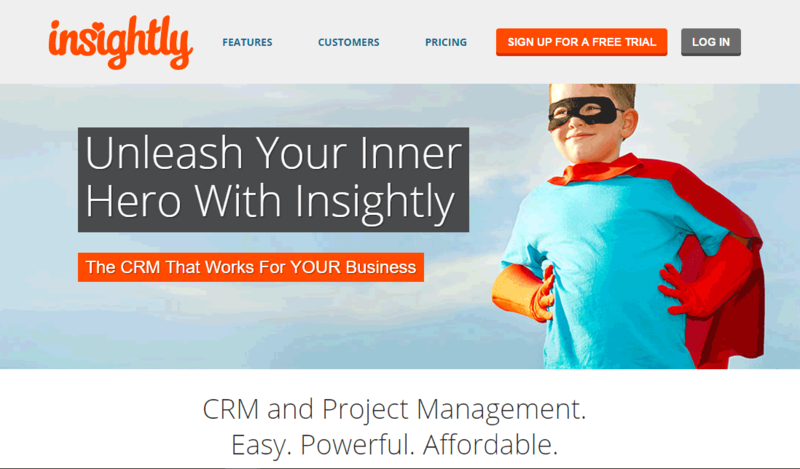 Insightly gives you a one-stop halt for all your customer relationship management needs and can be used explicitly for growing and small businesses, such as your freelancing endeavor. This is a web-based project management software programs that give you a hand in all the basics of running a business or service of your own. You will be able to manage your clients just as well as you plan on managing your own business. Coupled with great integrations and effective features, Insightly will give you a great insight into how you can build up a great business solution for all your business woes. With easy features to manage your business and also your clients and contacts, Insightly offers you many opportunities to streamline your business for ease of maneuvering. With 3 pricing plans, you have Gratis – Free, 2500 records, and for 3 users, Standard, $7, 100,000 records, and for unlimited users, and Enterprise, Unlimited users, and storage (quotation on request). With so many different tools to choose from, I’ve narrowed down your options to 10 project management software programs that I feel stand a great chance in enhancing your freelancing career and bringing about an order in the things you and your business conduct. 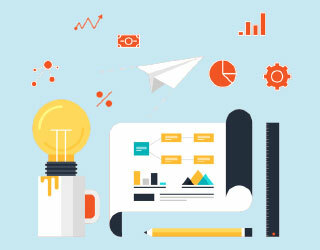 Project management software programs in any size and shape are going to eventually help your business in all the ways possible, but choosing the right project management software programs that suit your way of working all boils down to you and your thought process. If you’ve been using some other project management software programs that I’ve not covered in this list, do let me know through your comments and we can in this way share our knowledge and become truly business-smart individuals! All the best! This has been a guide to project management software skills for freelancers to work through to get great results. 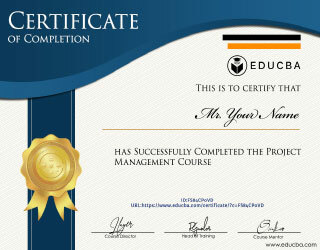 These are the following external link related to project management software skills.